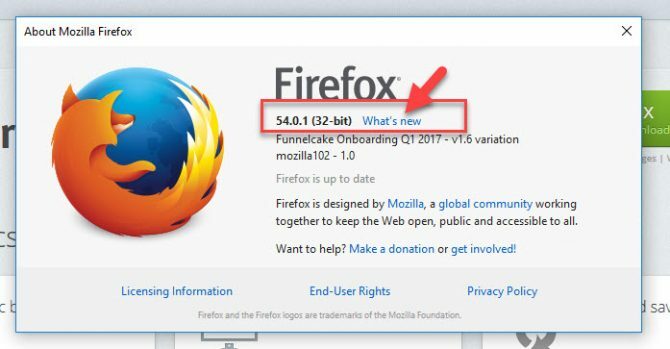 The new version of Firefox 55 has been released and is available for download and installation. It comes with innovative functionality to offer the best browsing experience. Many bugs are fixed which were reported in earlier versions and security improvements have been made. Many new features are also added in Firefox 55. 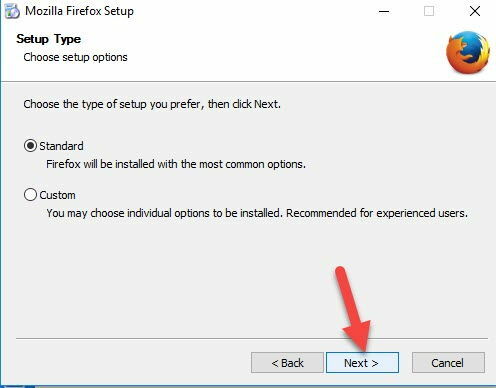 In this article, we give the full offline installer direct download links of Firefox 55 so that you may install it on multiple computers without wasting Internet bandwidth. In this version, Firefox has launched Windows support for WebVR, this will bring immersive experiences to the web. Different options are added which allows users to optimize their recent performance improvements. Now installation process is simplified with a streamlined Windows stub installer. 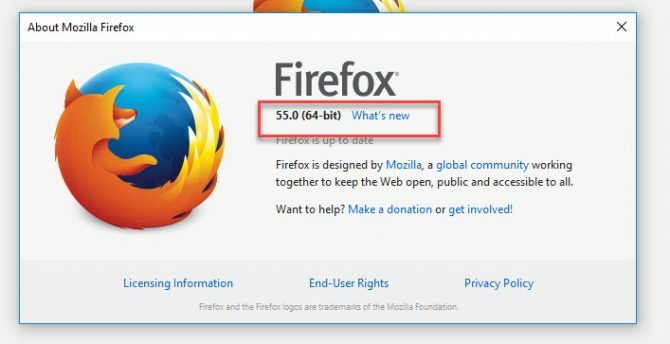 Firefox for Windows 64-bit is now installed by default in 64-bit systems with at least 2 GB of RAM. And full installers with advanced installation options are still available. The address bar functionality is improved. You can now search with any installed one-click search engine directly from the address bar. 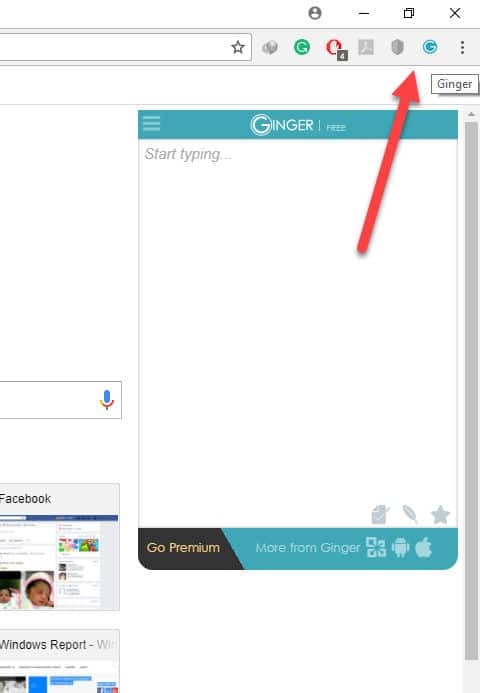 And search suggestions appear by default as you start typing. When entering a host-name in the URL bar, Firefox resolves to the secure version of the site which is https instead of the insecure version which is HTTP, when possible. Updated Sidebar for bookmarks, history, and synced tabs so it can appear on the right edge of the window as well as the left. Firefox 55 has added support for stereo microphones with WebRTC. Pages can be simplified before printing from within Print Preview option available in Firefox. Firefox updated version for OSX and macOS to allow users to assign custom keyboard shortcuts to Firefox menu items via System Preferences. You can make screenshots of web pages, and save them locally or upload them to the cloud. This feature will undergo A/B testing and will not be visible for some users. In Firefox 55, Belarusian (be) locale is added. Different bugs and security vulnerabilities are fixed in Firefox 55. The Developer Tools feature suffers from an XUL injection vulnerability due to improper sanitization of the web page source code. This is fixed now. A use-after-free vulnerability can occur in WebSockets when the object holding the connection is freed before the disconnection operation is finished. This results in an exploitable crash. This has resolved now. A buffer overflow can occur when the image renderer attempts to paint non-displayable SVG elements. This results in a potentially exploitable crash. This is resolved now. Many other bugs are also fixed, for a complete detail, go here. In this version, the Adobe Flash plugin has made click-to-activate by default. It has Modernized application update UI to be less intrusive and more aligned with the rest of the browser. In Firefox 55, sites that don’t use SSL can no longer access Geolocation APIs to find a user’s physical location. You can check your Firefox’s current version by going to Help, then About Firefox. A pop-up window will appear that shows you information of your browser. If any new update is present, click on “What’s new”. The Update will download manually within the browser. When an update is installed, restart your browser and check its version again by going to Help. Now you will see that pop-up window says, “Firefox is up to date”. Download the Offline Installer from below link. 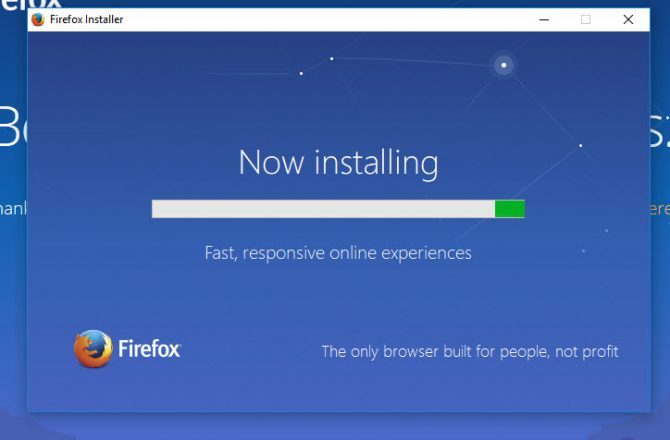 After downloading, open the installer to start installing the browser. It will extract the components first. Then ask you to select the Type of your setup. 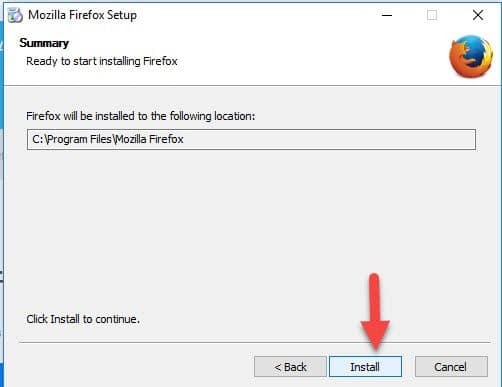 Choose the installation location for Firefox. Then the installation will begin and takes 4-5 seconds to complete. Click on finish and Firefox browser will launch as you exit the installer. Go to Help/About Firefox, a pop-up window will show you the current updated version of your Firefox browser. Update your Firefox browser today, and enjoy more features and secure browsing than before with the cluster of new features and compatibility which are added in Firefox 55. Thank you.